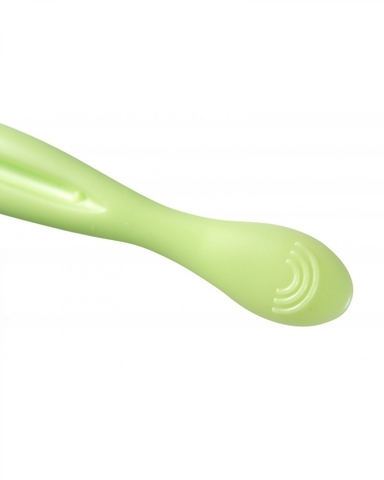 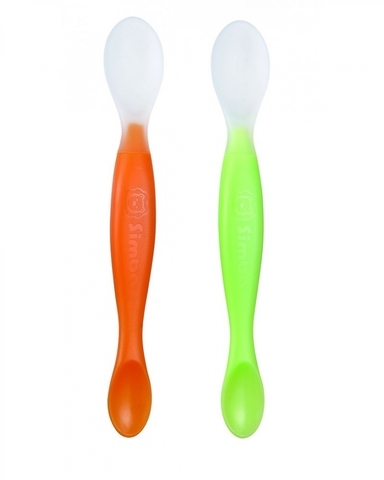 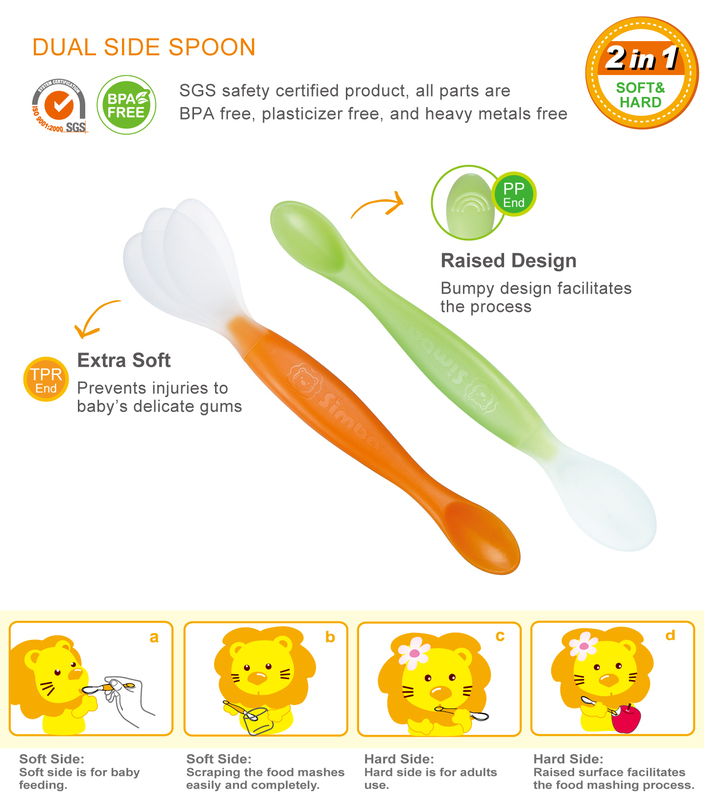 1.The soft tip is gentle on baby's tender gums, and is easy to scoop hard-to-reach areas of plate or bowls. 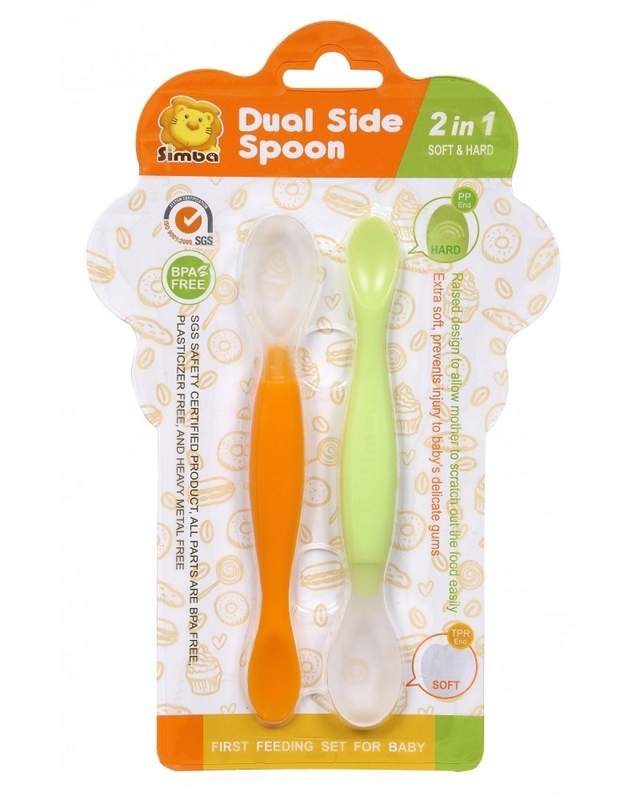 2.Soft Side：Softer side is for feeding baby, and scratch food easily and completely. 3.Hard Side：Special design to allow mother to scratch out the food easily.